Search Engine Marketing is the most direct way to generate immediate new business. Managed properly, SEM can take your business to the next level. 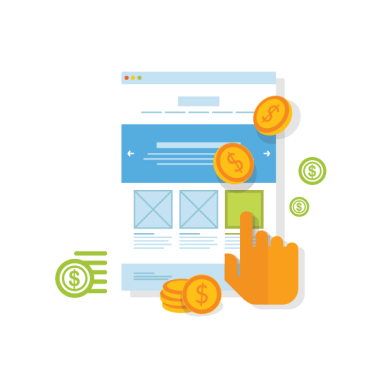 We design comprehensive PPC strategies that target prospective new customers, Retarget bounced traffic, and generate measurable leads. With experience in nearly every line of business, you can rest assured that the campaign is built to succeed immediately. SEM campaigns are the best way to generate new business. You're only charged when someone is taken to your website or calls directly. You control the messaging, with the ability to completely control when/where your ads are shown. Not every person converts on their first visit. Retargeting allows you to continue to advertise to that user for a specified amount of time to give them another chance to do so. TrueView ads are an excellent pairing with other paid mediums due to the very inexpensive costs coupled with detailed targeting options. It's also a very effective way to extend the reach of your TV commercial to an audience that's abandoning cable. We have the expertise to create award winning campaigns on Google AdWords, Bing, Facebook, LinkedIn, Twitter and YouTube. Are You Meeting Your Goals Online? We build campaigns from scratch, or evaluate your existing campaigns in order to determine potential areas of improvement. Let us know what you're doing today and we'll take it from there.